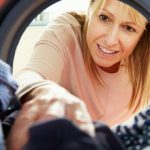 Chances are you’ll encounter at least one (if not all) of these laundry problems in your lifetime, but if disaster strikes all is not lost. Here’s what to do. Shrunk clothes are usually caused by washing or drying in temperatures that are too high. A shrunk garment can cause panic when zips and buttons no longer do up! Wash at lower temperatures to minimise the chance of clothes shrinking. Biological washing powder that uses enzymes to break down stains work well in low temperatures. Use a drying rack or clothes line if it’s a nice day to dry your clothes instead of a tumble dryer. You’ll save money by turning of the tumble dryer too. Soak the shrunk garment in lukewarm water with a squirt of baby shampoo or conditioner for fifteen minutes or so. Stretch the garment out again whilst the fibres are malleable – either wear the piece of clothing whilst damp (if you can bear to!) to stretch it into the right shape or stuff it with dry towels. Keep stretching the garment until it’s completely dry. Over time your washing machine can develop a stale musty or mouldy odour and this bad smell can transfer to your clothes so they’re never laundry fresh, even straight after they come out of your machine. Don’t use too much detergent when you wash your clothes. Undissolved excess detergent can cause mould. Clean your washing machine once a month in a hot (ideally 90 degrees wash) using a dedicated washing machine cleaner that also removes limescale. Repeat monthly. Leave the door and detergent tray of your appliance open after washes to dry out and prevent mould build up. Don’t leave clothes in the washing machine drum. Take clothes out straight after a wash finishes. Once you’ve cleaned your washing machine you’ll need to wash your musty smelling clothes again as the smell is caused by bacteria. Wash on as hot a wash as you can without damaging your clothes. Clothes with a really musty smell can be soaked in a solution of white vinegar and warm water before washing. Just one coloured item in a white wash can cause havoc and has the potential to ruin your favourite clothes for good. Wash new items on their own or hand wash them initially. Excess dye is most likely to run out of clothes in the first couple of washes. Wash colours, darks and whites separately so that if colours do run there is less risk of clothes being ruined. Use a washing powder with bleach for whites to keep them white. Don’t leave clothes in the machine as this gives colours a chance to run into each other. Remove your clothes as soon as the wash cycle ends. Don’t let clothes dry stained; soak immediately to increase the chances of being able to remove the dye that has run. Use laundry bleach to bleach whites clean again. 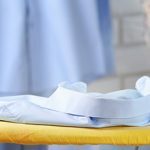 Add a cup of white vinegar to the laundry load and wash stained clothes again in a hot wash. Try specialist dye removal products. Hopefully with the above tips you can reverse laundry disasters and leave your clothes clean and fresh smelling. Don’t bin clothes ruined beyond the hopes of saving them though. Keep these clothes to use as rags for DIY projects or to wear when you’re carrying out repairs around the home. 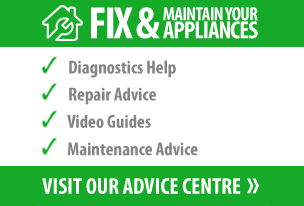 Fixing your faulty appliances in your favourite outfit really is a recipe for disaster!